Mutant Football Leauge: Dynasty Edition is out on 10/30/18. We can now proudly tell you that the Black Hole Zion song, 8-Bit Rage, is not only used in the game, but also the entrance/theme music for one of the teams. Our song will accompany the awesome new team, the Cracksumskull Jugulars, as they make their way out to the field and dominate the other teams! The folks at Digital Dreams entertainment were great to work with and have produced a super cool piece of gaming art. 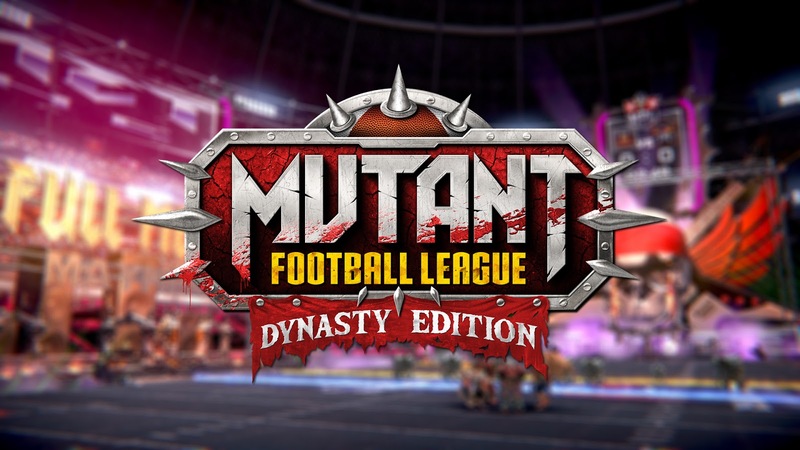 Mutant Football League: Dynasty Edition is available for Playstation 4, Xbox One, Nintendo Switch, and Mac/PC via Steam. Dig it! Broadcasting from our space station between Mars and Jupiter, we are pleased to finally announce that Black Hole Zion will have a little bit of music featured in the game, Mutant Football League: Dynasty Edition. More details to come, but the game launches on 10/30/18 and will be available for Playstation 4, Xbox One, Nintendo Switch, and Mac/PC via Steam. We’re looking forward to playing! The folks at Mutant Football League are super cool and have worked hard on bringing an awesome version of this game to release. Excited to share more soon! Quite a while back, I (Mark) did the soundtrack for a cool physics puzzler game called Stunt Runner. There were a few development delays as the folks involved were not only preparing a game for release, but an entire new platform called Jump Gaming. Jump has been described by some as a Netflix or Spotify service for games in the sense that you aren't necessarily installing games to your computer and that they curate the content to offer what they feel are the best indie games available. You can play Stunt Runner right now if you are a Jump subscriber. However, I also wanted to make the soundtrack available for those using Jump and also those that might not play games, but dig instrumental synth and game soundtracks. I'm really happy with how all of the music turned out. The release date is 6/26/18, and you can pre-order it right here if that's your thing. Also, Jump subscribers will get it a few days early as an added bonus. This is kind of a midway point through The Great Repression where things are at some of their most bleak. It is when the protagonist, out of desperation, joins up with an infomercial personality that has legally changed his first name to Doctor. This person did so in an effort to add credibility to his products and services. He claims he can give viewers the ability to travel through time and space if they sign up for his program, pay a fee, and report to his lab. He then performs lobotomies and other experiments on them. There is a little more to it, but I'd rather someone take a bit of their meaning from the lyrics than have me explain everything from my own perspective. Either way, we are happy with how things turned out. Here's a direct link to the YouTube stream. We hope you dig it!